*Please allow 1 additional day when ordering Stone Crab Claws (i.e. An order placed Monday will ship Wednesday). This product is picked up daily and sizes may be limited. Florida Stone Crab claws are ranked among the finest delicacies in the world. They are a rich source of omega-3 fatty acids and protein, making them a very nutritious addition to any meal and diet. They are sought after by the very best hotel and restaurant chefs and reserved for those of status and esteem. 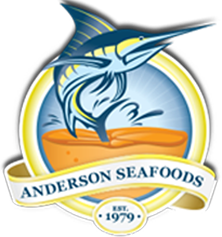 Here at Anderson Seafood, we make the best and freshest Florida Stone Crab claws available to everyone, all at the click of a mouse. With a season running from October 15th to May 15th, fresh Florida Crab claws are harvested and stored annually, using the highest health and safety standards. To ensure the absolutely highest possible texture and flavor quality when delivered to the consumer, Florida Crab claws are immediately boiled, then refrigerated or frozen after harvesting. They are then sold as either fresh or frozen, in sizes jumbo, large or medium crab claws. Fresh Florida Stone Crab claws get their reputation as a delicacy, due to the firm texture, low fat or oil content and highly flavorful sweet meat. Due to its firmness it is ideal for the preparation of many exquisite dishes, barbeque grills and salads. Its meat is also so deliciously sweet that it can be eaten unseasoned, with simply a bit of butter. Refrigerate for thirty minutes before serving with four(4) to six(6) pounds, cooked fresh Florida Crab claws (pre-chilled on ice before serving).